"Dr. Kavaler was thorough and attentive. I appreciate her sense of urgency." 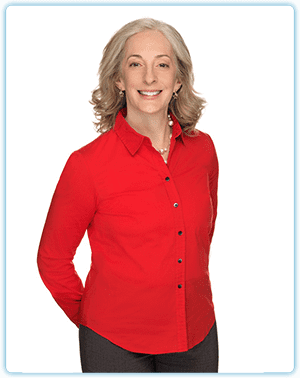 "Dr. Kavaler is very knowledgeable, professional, warm and compassionate." She answered all my questions and offered a different approach on medications." "On time. Personal service. Very professional. Great manners. Highly recommended." "Wonderful experience with Dr. Schulz, her bedside manner excellent." The expertly trained team at Total Urology Care of New York approaches care for their patients with compassion, dignity, and respect. A wide range of urological services are offered for both female and male health issues, addressing conditions including vaginal prolapse, enlarged prostate, urological cancers, urinary incontinence, elevated PSA, erectile dysfunction, and kidney stones to patients in the area in and around New York, New York. The team is trained in urogynecology and specialize in women's health. Total Urology Care of New York provides urogynecological services for women, including regular exams and reconstructive surgery. Dr. Schulz is a board-certified urologist and native New Yorker. She completed her undergraduate studies at Stony Brook University before attending New York College of Osteopathic Medicine. She is a member of the American Urologic Association, Society for Women in Urology, American Osteopathic Association, and American College of Osteopathic Surgeons. Her research has been presented at professional society meetings and published in scholarly journals. The staff at Total Urology Care of New York is highly trained and committed to providing individual quality care to patients and aims to provide quick, convenient, and efficient treatment for all of their patients. New patients are currently being welcomed and most major forms of insurance are accepted. All staff members of Total Urology Care of New York will maintain absolute confidentiality, regarding any information that they may receive in the course of your service with us. A Seat on the Aisle, Please! Dr. Kavaler is the author of "A Seat on the Aisle, Please! : The essential guide to urinary tract problems in women"
Click the image to the right to order this guide to urinary health that every woman should own. • 6 to 51 St.
• M, E to 5 AV / 53 St.
• B, D, F to 51 and 6 Ave.
• 1 to 50 St. Please contact us to see if we accept your insurance provider.